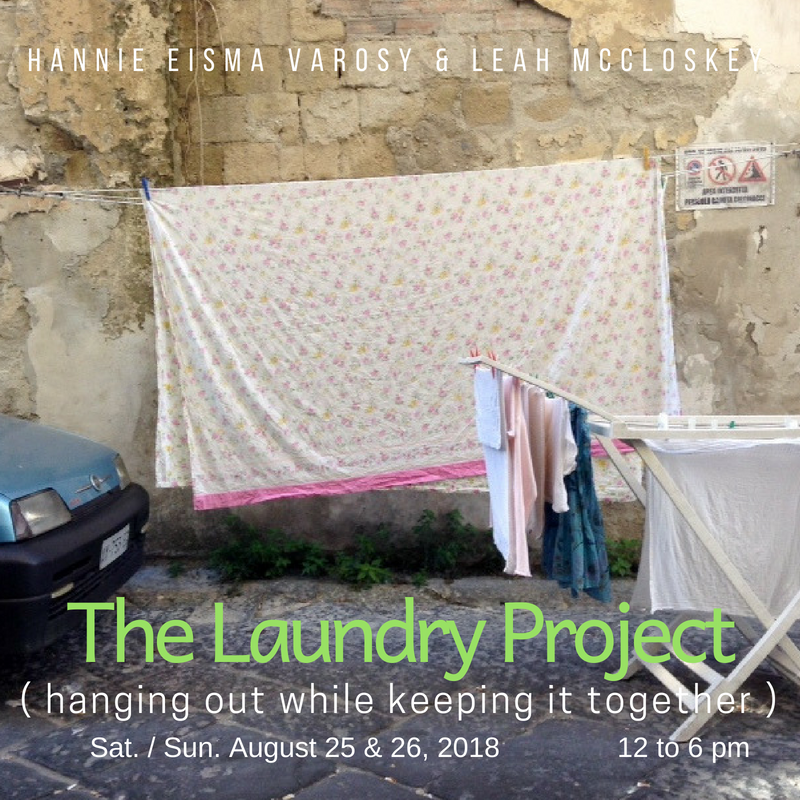 One day last fall I went to go visit Hannie and we were talking about her photographs of the laundry lines in Naples Italy. The conversation turned to a very excited discussion about how much we both really love laundry on the line, the smell of laundry after a day outside and laundry lines with all white sheets blowing in the wind. A collaboration was born. We decided to start working together in January at her studio. Once a week or so I would go and she would be working on her amazing wonderful projects and I would sit and do my painting and sketching and drawing. We would talk about life, how we were, and what was happening. We talked about the past, art, and hanging laundry in subzero temperatures. It became a very cathartic, creative and wonderful experience. One that brought us to the installation and pop up art show at the end of August. What are your memories of laundry?